I was planning on using my organic beef stew meat to make beef stew tonight. BUT. . . . .I found out that my LDL (bad cholesterol) is slightly raised and I've already had red meat three times this week. I decided to use my potatoes to make fiesta potatoes instead. 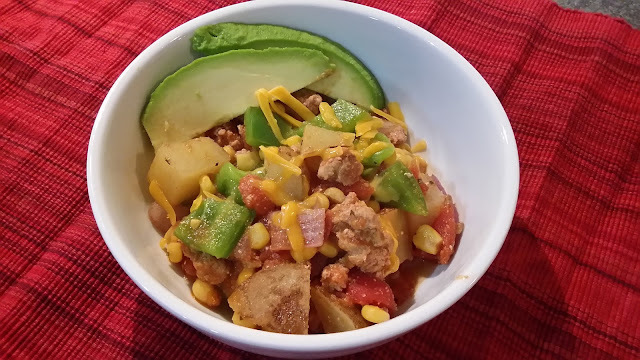 I ended up using ground turkey and making a taco-inspired potato and veggie dish. diced tomatoes and diced potatoes. 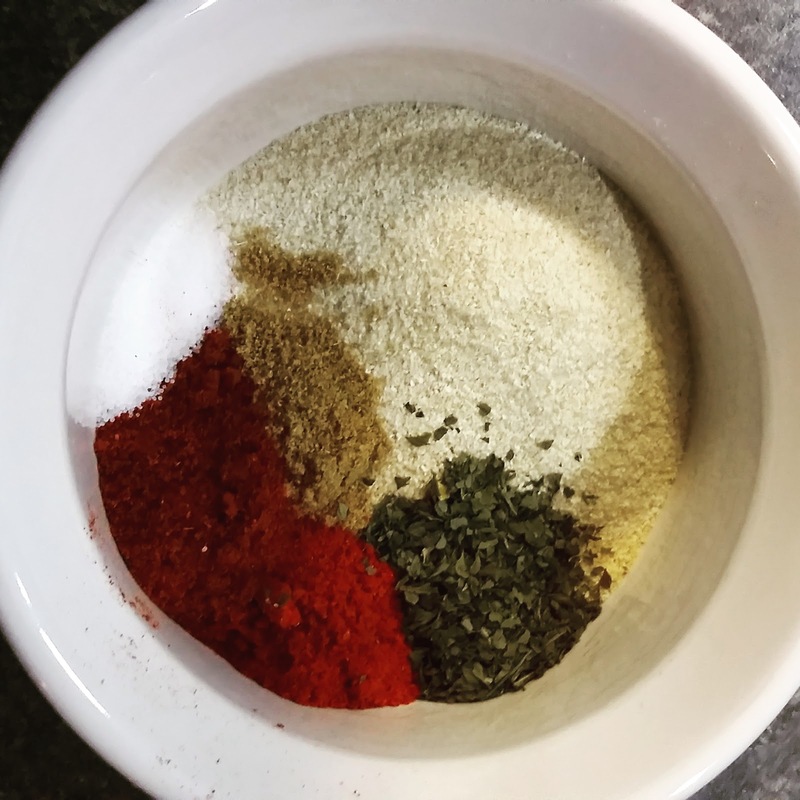 Mix together, cover and cook over medium heat for 30 minutes, stirring occasionally. Add the green pepper, corn and red onion~~unless you have picky kids like me. If your kids are picky like mine, just add the corn and spoon their portions into a bowl. THEN add the peppers and onions to the skillet and heat for another five minutes. I wanted the onions and peppers to still be crisp. Garnish with shredded cheese and avocado. ﻿What is your favorite one-skillet recipe?